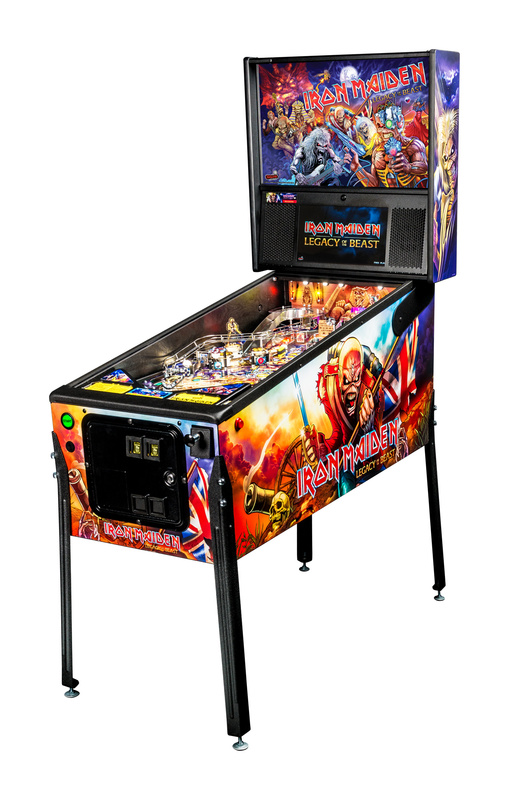 After a short teaser released on Saturday, Stern Pinball has pulled the curtain back on their latest table, the English heavy metal band Iron Maiden. IGN received the goods first (as they have with several Stern pins of recent memory) which you can read about here; then let’s get into our own breakdown. One interesting tidbit about this is that this was originally reported to be a design by John Trudeau but given his recent legal troubles (we haven’t heard an update on that yet as to whether or not he was convicted or released), his name is nowhere to be found in the article. 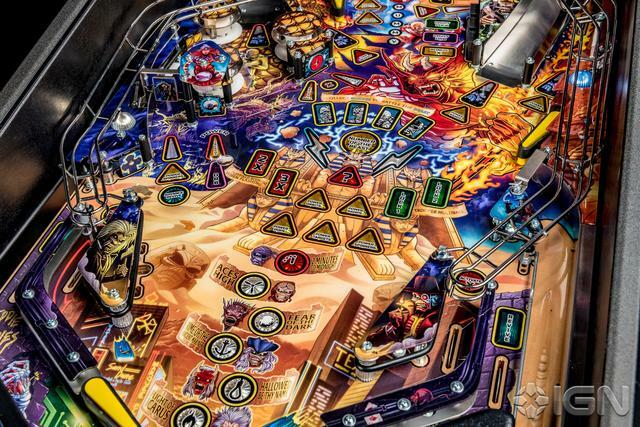 Instead, Keith Elwin (who designed an Archer pinball machine for himself and joined Stern not too long ago) is named as the designer with Jeremy “Zombie Yeti” Packer as the artist. No idea if the table has been completely re-designed by Keith but it has been pointed out that this shares the Archer table design so it seems likely. We’ll probably find out more details on that down the road. 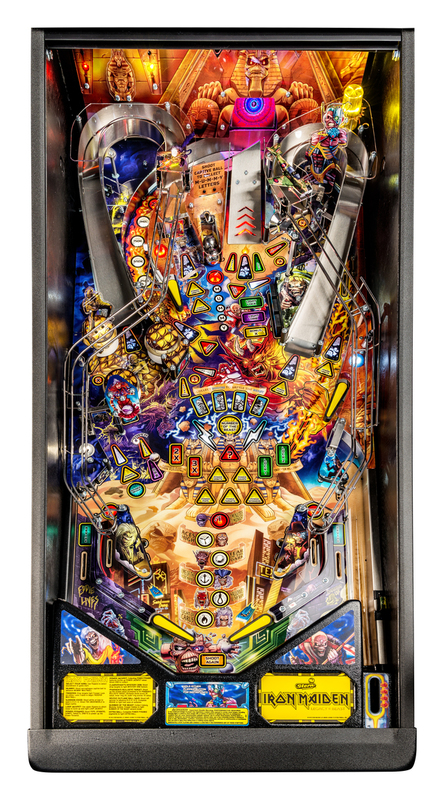 Dual sensing Newton ball (This is pinball firmly mounted on the playfield that, when hit, transfers energy to a captive ball behind it). At this point, if an arcade or bar has all of the rock bad pins released in the past 10 years, they’d have a pseudo-jukebox to enjoy. What are your thoughts on Stern’s latest efforts from what we know so far? 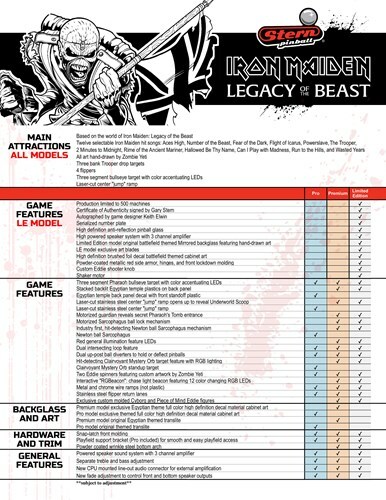 I love Maiden, but would never buy a music-based pin anyway. I am getting numb to these Stern releases. They really start looking the same to me. 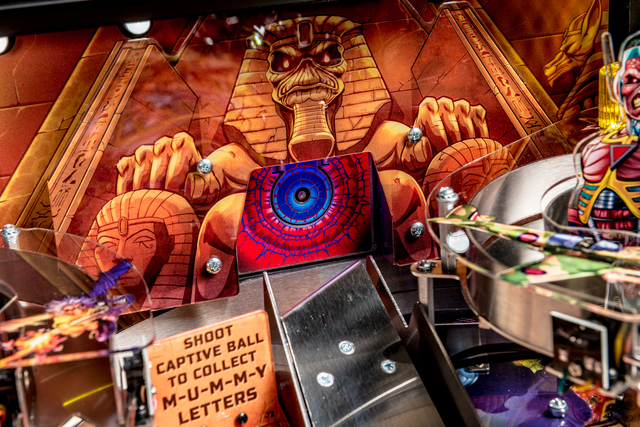 I think I like how a lot of the playfield is based on Powerslave – but mixed with the Somewhere in Time (from the electrodrum era) sends mixed messages.